Contents: 2 Bluetooth connected handle, 3 brush heads, improved Lithium Ion battery, premium travel case, upgraded charger, refill holder and smartphone holder. Oral-B Genius 8000 Electric Toothbrush 2 Handle Pack incl. 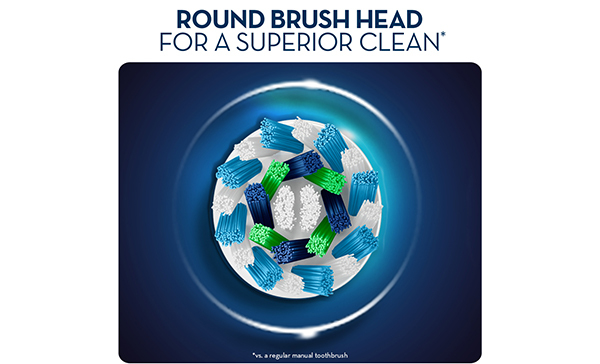 4 Brush Head Refills & Travel Case is rated 4.9 out of 5 by 18. Rated 5 out of 5 by Smacka from Fabulous for Old Teeth I bought this for my wife and I for Christmas. What a great idea we both say. Using the app on our individual mobile phone allows us to keep tra K if how good we are at looking after our teeth (in my case the remainder - a result of poor dental hygiene in my youth). I kove the gentle reminders helping me to "get it right". At 75 my teeth need all the help they can get. Thanks Oral- B. Rated 5 out of 5 by Kazza from Excellent product My Husband & I just love it!! We use the app also. We have learnt so much about teeth cleaning. Best eletric toothbrush we have ever had. Rated 5 out of 5 by Womby from Awesome product I had been looking at this for a while and wondering if it was worth it. Biggest regret was the time I took to make the decision. It is amazing, the entire family now use the Genius 8000 range and we are completely sold. We couldn't be happier. Hi, Can I use this toothbrush in overseas like Japan? Yes you can, I took &amp; used mine in the United Kingdom &amp; Ireland recently. I accidentally dropped mine on the floor and now the bottom has come lose, to the point where the hole bottom will not stay clicked in. Will the warranty cover repairs for this? I only got it 6 months ago. Do the above toothbrushes fit the Oral B triump charger? Yes. &nbsp;It&rsquo;s the same one. How much to send to New Zealand ? also is it $249 NZ or Australian ? I assume each handle connects to each individual's app instead of both handles connect to only one individual's app? do you sell any double handle braun toothbrush sets and are on special?